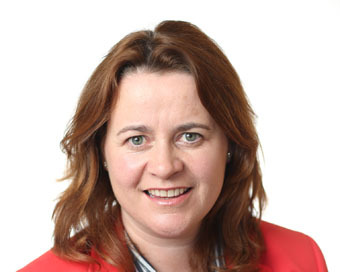 Elaine Coughlan was appointed to the Institute of Directors‘ board following the formal election at the Institute’s Annual General Meeting on 28th May 2015. Elaine, who spoke at last year’s WMB Conference & Awards, is co-founder and general partner of Atlantic Bridge Capital, a global growth equity technology fund. She is also co-founder of Summit Bridge Capital, a China Ireland focused fund aimed at helping Irish companies scale in China. She has over 20 years’ experience in scaling technology companies with extensive operational and M&A experience. She was co-founder and non-executive director of GloNav Inc, a GPS software and hardware business successfully sold to NXP. Prior to Atlantic Bridge, Elaine took three high growth technology companies public on NASDAQ and LSE. Elaine is a Chartered Director and a Fellow of Chartered Accountants Ireland and was named one of Europe’s Inspiring 50 Women in Technology. She was appointed to the board of Enterprise Ireland in 2014 and is also on the board of FieldAware.